The Eiffel tower is the most visited by tourist place in the world, the main attraction and symbol of Paris. The tower was built in 1889. It was planned to demolish after 20 years. First time many people did not like it how looks a tower, but all the people wanted to see the tower. Until now all the tourists who come to Paris tend to visit the main attractions of Paris. 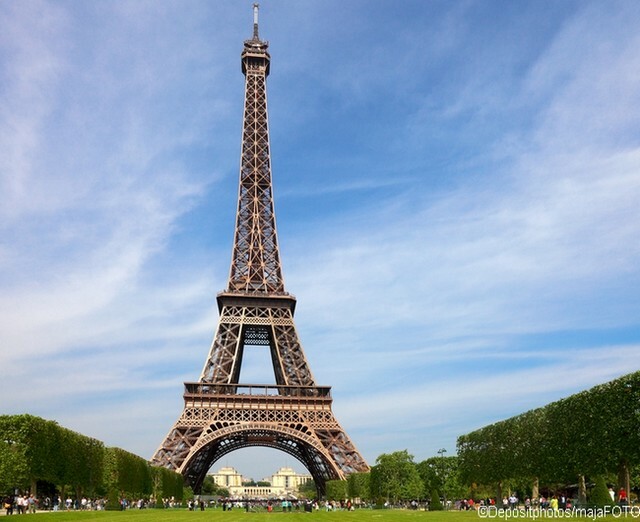 Residents of Paris gave the tower one more name, «La dame de fer» (Iron Lady). The tower is located in Paris, on the Champ de Mars, close to the Seine River (near the bridge of Jena, Quai Branly). The nearest metro station is “Bir-Hakeim”. Height of the Eiffel Tower is more than 300 meters (with antenna 324 meters). Eiffel tower and Champ de Mars photo. Map of Paris (location of popular tourist places).